Do you need air sealing services for your home in Yorktown, Virginia? Tidewater Insulators can help! For nearly 15 years, we’ve been serving the entire area. Contact us to schedule a consultation, or keep reading to learn more about our air sealing services! The air sealing package is a key component in Tidewater Insulators’ Comfort Home Program. 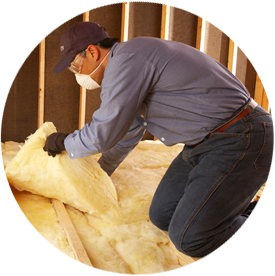 This tailored package can help reduce air and moisture infiltration problems by making sure your home is as air tight as possible. Our Yorktown area Comfort Home Specialists can find the air leaks in your home and seal them so you can start saving money and living more comfortably. You’ll be amazed how much air sealing can help increase the comfort, air quality and energy efficiency of your home! If you’re interested in air sealing and insulating your Yorktown home, schedule a FREE consultation with Tidewater Insulators today! We will evaluate your home to find out where it’s losing energy.